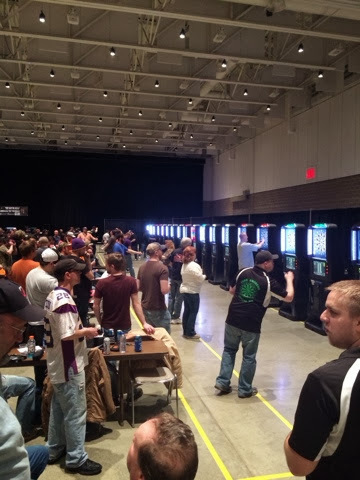 This weekend, we traveled to Rochester, MN for the Minnesota State Dart Tournament (called MOMA for Minnesota Operators of Music and Amusements). An entire weekend of darts, drinking, and eating. How in the world does a person continue to follow Paleo during such a high tempting weekend? It might have not been perfect, but I stuck with it! The best thing about this event was that our hotel was connected to the darts arena by skyways, so we never had to go outside the entire weekend! On the ten minute walk from our hotel to the arena, there were THREE Starbucks you could stop at. Let's just say I was well caffeinated throughout the weekend. Heaven. Our hotel had a breakfast buffet with all you can eat eggs, bacon, sausage, pancakes, fruit, muffins, toast, cereals, yogurt, etc. 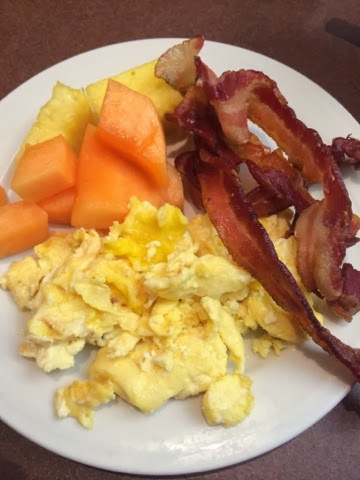 I stuck with the Paleo basics and enjoyed eggs, bacon, and fruit on both mornings. I packed some snacks to hold me over in between meals which consisted of beef jerky, Larabars, and dried fruit. For lunch on Friday, we went to zPizza. The boys wanted pizza and lucky for me, they offered gluten free and organic options. I ordered a pineapple pizza with gluten free crust and organic sauce. It was a HUGE treat and cheat meal for me since my diet does not include dairy at this time. The next day for lunch, I chose a huge spinach salad so I'm not too upset with my one "bad" choice for Friday's pizza lunch. It could have been much much worse. I was more worried about having a bad reaction and feeling sick, but no tummy problems! For dinner, both nights we went to a restaurant called Chester's since it was along the skyway. I had the most phenomenal meal I have ever had on Friday night. Jumbo shrimp, cedar planked salmon, scallops, and I substituted sweet potato fries instead of the rice it was paired with. 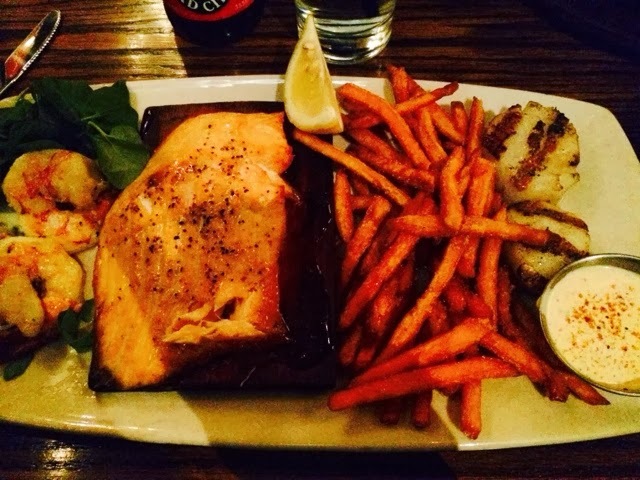 The salmon was so good that when we went again on Saturday night, I ordered just the salmon with sweet potato fries. Mmm Mmm! As for drinks, I did enjoy a beer on Friday night and a cocktail on Saturday night. Again, I consider this a very positive thing since I was surrounded by alcohol the entire weekend. Regardless of how much temptation there was this weekend, I am very pleased with my diet choices. 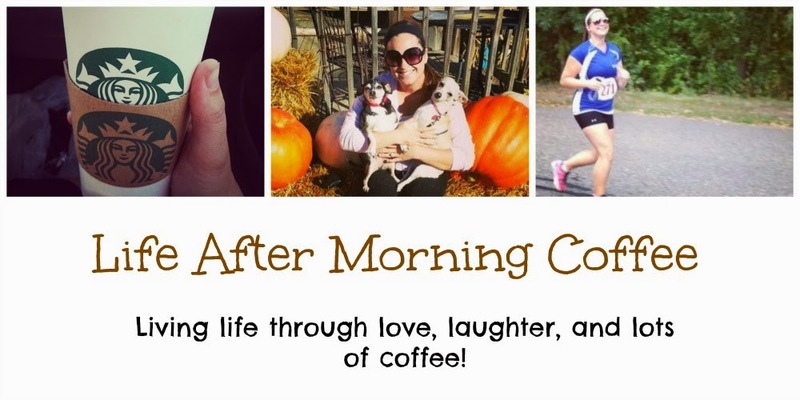 I stuck to my goals and didn't throw my hands in the air and give up. I'll post later how the rest of my week on Paleo went! Today marks the half way point of my Paleo Challenge already! Crazy how time flies!